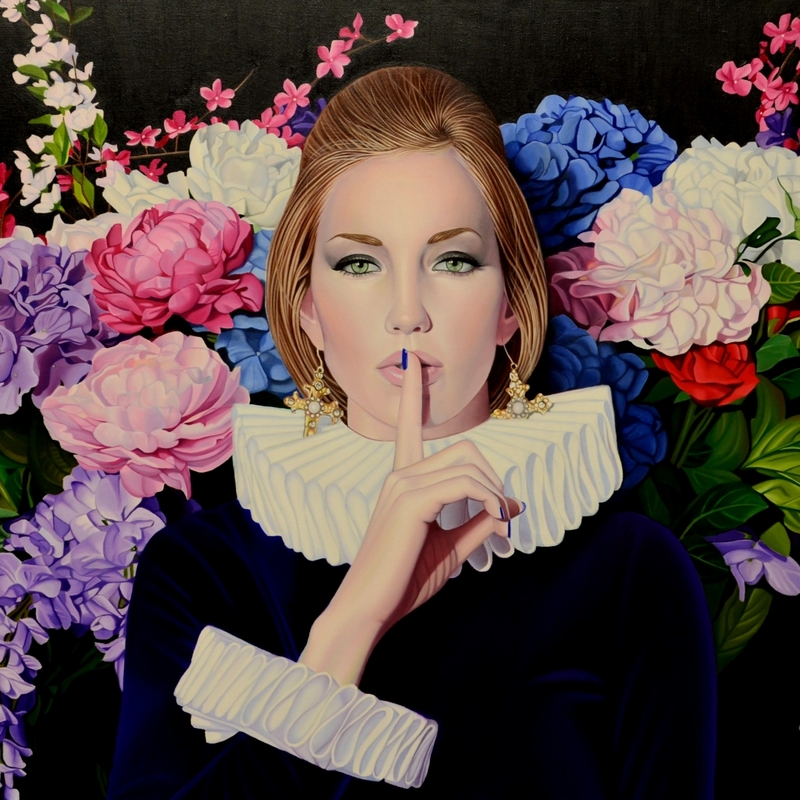 ” ‘Sound of Silence’ started with the dress, the ruff collar, and the flowers. Before a model comes over, I gather as many outfits and props as I can use in a two hour photo shoot, being careful not to have too many ideas in one shoot. I start by showing my model some images I have gathered on my ipad, and discussing what I want to accomplish, we improvise and elaborate from there. The best models start by interpreting my vision, and adding their own unique style. We work as a team. In this painting, we were thinking of speak no evil, hear no evil, and see no evil. I painted it thinking of how politically correct everything has become, and how my work is often censored on social media, but the image evolved into a deeper meaning due to the Me Too movement. 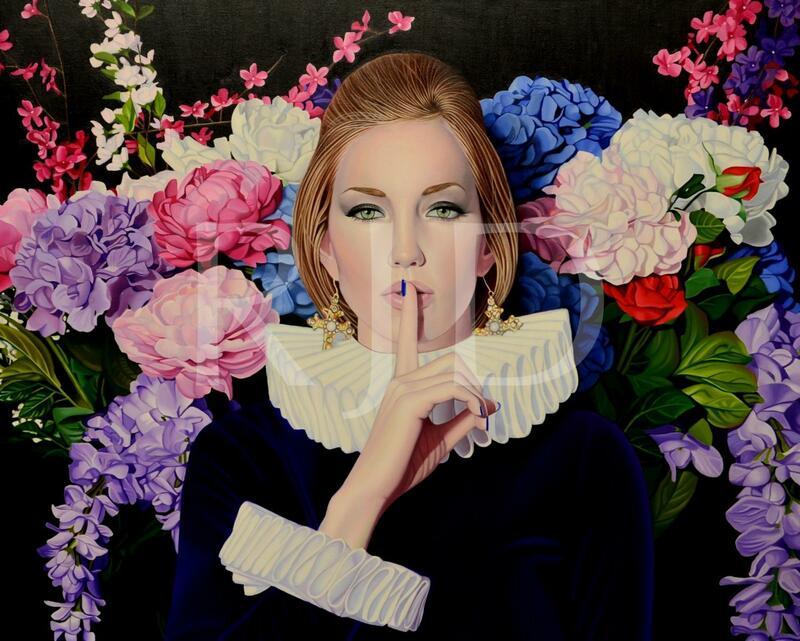 I think it speaks to how women are often taught to keep quiet, and not tell their truth.